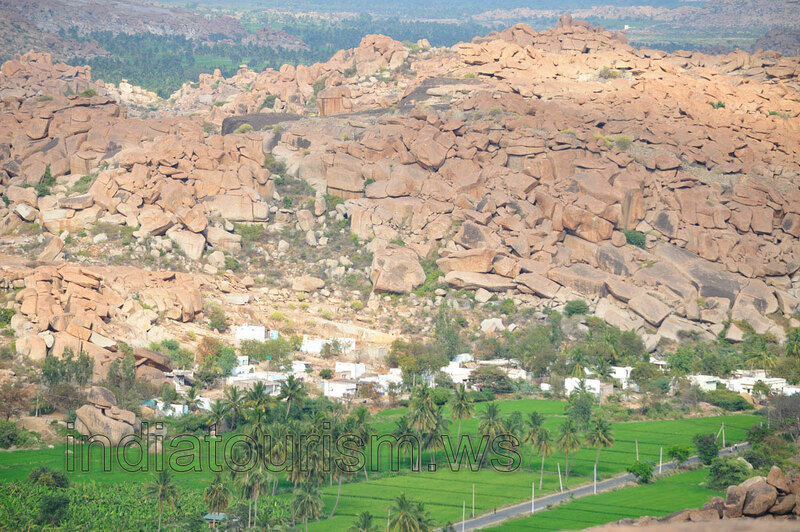 Such a view will open before your eyes if you look not on Hampi, but on the opposite side. Huge hill has been formed from the large boulders. It is easy to know the size of the hill, because you can compare it with the asphalt road which is laid along the foot of the hill.